One problem associated with microcavity devices is the significant difference between the reflection spectra of fabricated porous silicon microcavity (PSM) devices and those obtained by theoretical calculation of ideal microcavity devices. 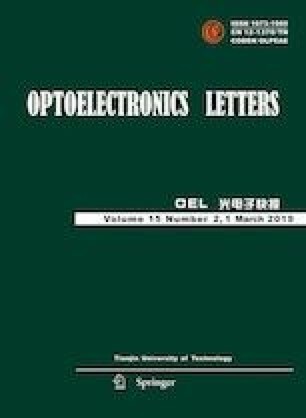 To address this problem, studies were carried out to determine the effects of the refractive index dispersion, the absorption of the porous silicon layer and the fluctuation of the dielectric interface on the reflection spectra of PSM devices. The results are in good agreement with those obtained experimentally from the fabricated PSM devices, which provides a theoretical basis for the design of PSM sensors. This work has been supported by the National Natural Science Foundation of China (Nos.61665012, 61575168 and 11504313), and the International Science Cooperation Project of the Ministry of Education of the People’s Republic of China (No.2016–2196).